Welcome to the 2017 C3 Gallery Online Submission Process. Click the big Register button at the top right to set up a username and password. Fill in the details requested. To review the 2017C3 Gallery exhibition guidelines read below. If you have any questions email the Contract Arts Administrator Kelly Purvis at 619.341.0137 (direct cell) or email at kpurvis@coronado.ca.us.The Coronado Cultural Arts Commission (CAC) is calling local artists to submit artwork for exhibitions in the Coronado Community Center Art Gallery this year. Two exhibitions are planned for this call. A third exhibition will be produced for November 2017 and will have a theme and feature the works of multiple artists.There will be a seperate call for the third Exhibition. Artists will be notified if they are selected for this show by February 17 and will be ready to mount their show between February 24 and February 27. Artists will be notified if they are selected for this show by February 17 and will be ready to mount their show between May 28 and June 5, 2017. Exhibition #3 - A themed show with a seperate call - November 1, 2017 - February 15, 2017 with Artists Reception scheduled for Wednesday, November 1, 2017. Multiple artists will be selected to participate in this show with the possibility of up to three pieces selected. 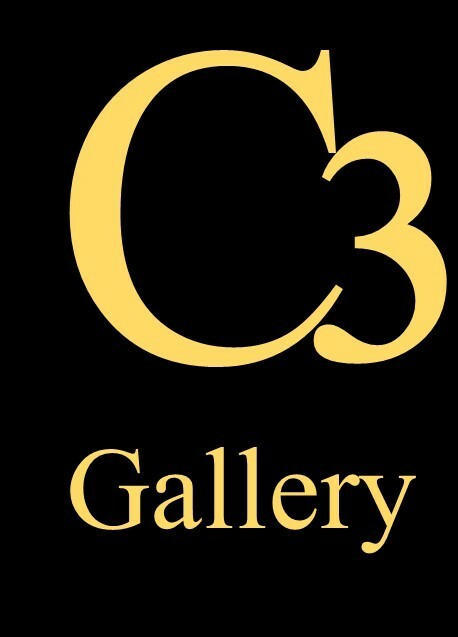 The exhibitions will be mounted by the CAC to highlight the work of local artists in the C3 Gallery The C3 Gallery is the only city-owned and operated art gallery, housed in the City of Coronado Community Center at 1845 Strand Way, Coronado, CA 92118. A minimum of two and a maximum of six artists will be selected for Exhibitions #1 and #2. Artists should have enough artwork to fill 50 percent of a cabinet. Cost is $35 to submit this application. Assistance with the online application is available . Please contact Contract Arts Administrator Kelly Purvis at 619-341-0137 (direct cell) to arrange assistance. The Coronado Cultural Arts Commission is pleased to announce opportunities at the Coronado Community Center (C3) Art Gallery to exhibit art work by local artists. The gallery is comprised of three separate spaces to exhibit work of various art media. The gallery is comprised of approximately 48 linear feet of 2-D hanging space plus 6 linear feet of 3-D cabinet space. Overall there is 270 square feet of display space. The Coronado Community Center Art Gallery is an exhibition opportunity operated by the City of Coronado as a service to local artists. In 2017 the City of Coronado Cultural Arts Commission is seeking Coronado artists for individual and group exhibitions of two-dimensional (2-D) and three-dimensional (3-D) artworks in the north lobby space of the Community Center located at 1845 Strand Way in Coronado. The gallery will feature three juried exhibitions with featured artists. Artists may offer their work for sale. Only one application and fee is required for consideration for the first two exhibitions schedule. All media will be considered. Applications are accepted January 10, 2017 through February 10, 2017. A panel of judges will jury the entries. Selection criteria may include, but may not be limited to: quality/merit of work, diversity, medium of work. Artists will be notified by February 17, 2017 and must be prepared to mount exhibition on February 22 - 27, 2017 for the first Exhibition. Final acceptance for inclusion in the exhibition will be subject to review and approval of the completed submitted art work. Exhibition/display dates cannot be given or transferred to another person or organization. Exhibits cannot be changed after being installed without the permission of the CAC Visual Arts Commissioner or CAC Chair and the CAC Contract Arts Administrator. Selected artwork must be available to remain in the gallery for the full duration of the exhibit. No substitution, exchange, modification or withdrawal of works is permitted after acceptance for exhibition. Local artists, as defined by the Cultural Arts Commission, 18 years of age or older, or visual art groups representing Local artists may apply. A local artist is defined as one who 1) lives in Coronado; 2) works a minimum of 20 hours per week in Coronado or 3) owns property in Coronado. Eligible works include paintings, drawings, photography, mixed media, tapestry/wall hangings, hand crafted jewelry, ceramics/pottery, original textiles. Others to be considered as presented. The artists must be 18 years of age and local. All artwork must be original and the work of the registered applicant. May not be an alteration of another’s work or assembled from a kit. The artist must submit an application, non-refundable application fee of $35 and 5 jpegs of pieces of work that are representative of items to be displayed in the exhibition. The artist must provide accurate information for each artwork exhibited listing: title, dimensions, price or NFS (Not for Sale). The artist is integral in the installation of art in the display case. Artist is responsible for the delivery and pickup of their artwork as well as assisting in the installation in the C3 Gallery at agreed upon date and time. All two-dimensional artwork must be framed or mounted and ready to hang with current gallery hanging system. All works must have the artist’s name, title and medium affixed to the back of every work entered in the exhibit. Three dimensional work that require stands or holders must be provided by the artist and labeled as such. The artist must publicize and promote the exhibit and if they choose, host an opening reception that may include their clients, contacts, public and the media. The artist shall complete the City of Coronado Waiver of Indemnity and Liability releasing the City of any liability from artwork damage, loss or theft. Items for sale are encouraged, however, artist may choose to have art for “display only”. All sales are to be run by the artist and the artist shall be solely responsible for the financial transactions of the sale and shall pay all applicable taxes. All artists selling their work shall provide a California Seller’s Permit number on the application form. A 20% fee of artwork sold is payable at the end of the exhibition to the City of Coronado. All fees are used to offset the costs of maintaining the gallery. All artwork to remain in cases until end of exhibit and, if sold, signage will be altered when sold. Opening receptions are held for every exhibition opening. Receptions are open to the public and free of charge. CAC will provide the venue for the opening reception in the venue at the Coronado Community Center Nautilus room and/or adjacent patio. Reception room will be provided by CAC to the exhibiting artists free of charge (City of Coronado in-kind donation) along with table set up, coffee, tea and water provided. Additional food and beverage and entertainment, if desired, to be provided by artist(s). The artist is responsible for all other costs associated with the reception. Participating artist(s) are required to provide information to include on the CoronadoARTS.com CAC Artist Directory. Local citywide promotion PR to be provided by CAC to local media outlets, CAC website, CAC Arts Partners and social media. Exhibiting artist(s) are strongly encouraged to market to outside outlets, family, friends and client lists to publicize and promote the exhibit and Opening Reception. CAC will provide printed and electronic postcards and/or brochures for the opening reception and ongoing exhibit. Artist is strongly encouraged to disseminate the information by mail, email and social media. CAC will provide standard gallery callouts for each selected artwork and can include the following information: title, medium, year, artist name, price or NSF, contact information and website. The Cultural Arts Commission reserves the right to suspend or cancel any exhibit should conditions warrant such action. Please visit www. CoronadoARTS.com for further details. Want to learn more about the Cultural Arts Commission? Visit our website at CoronadoARTS.com. You can leave this video on your homepage (or embed it on any page) for a quick tutorial your users can watch to help them with the submission process.